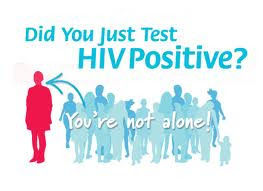 HIV is usually diagnosed by testing your blood or a sample of cells taken with a cotton swab from inside your cheek for the presence of antibodies to the virus. 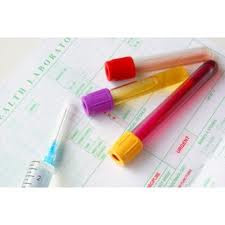 Urine samples can also be tested for HIV antibodies, but the results are slightly less accurate. 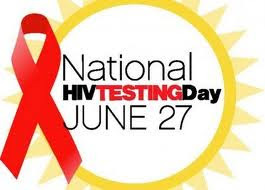 Unfortunately, these HIV tests aren't accurate immediately after infection because it takes time for your body to produce antibodies to the virus. 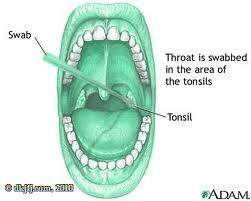 Most people develop antibodies to the HIV virus within three to six months of infection. If this test is positive — meaning you have antibodies to HIV — lab technicians run the same test again on the sample you provided. 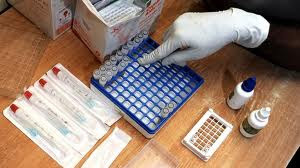 If the repeat test is also positive for HIV antibodies, you need a confirming blood test called the Western blot test, which checks for the presence of HIV proteins. 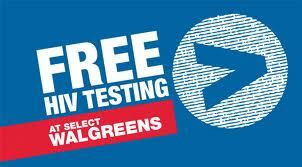 YAY, Walgreens out to Sell more AIDS Drugs!!! 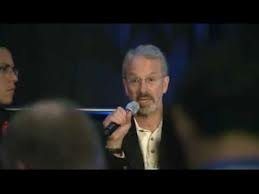 Several years ago, when I was still a health insurance company PR guy, I was accused by a furious CNBC producer of withholding important information when I cajoled her into having my CEO on "Squawk Box" to talk about some new initiative we were rolling out. "You played us like a Stradivarius!" she screamed at me when she realized that while my CEO was fielding softball questions from her show's host, our chief financial officer was signing off on a disclosure the company was obligated by the SEC to make by the close of business. Because the news we had to announce was so bad it would have a "material effect on earnings" (translation: cost shareholders a bundle), the big bosses ordered us to wait until after the New York Stock Exchange closed at 4:00pm -- and many hours after the Squawk Box interview -- to release it. They wanted to postpone the trauma it would cause the company. Sure enough, when the markets opened the next morning, the company's stock price began a long slide. The CEO was quoted in the bad-news news release about how the company was taking steps to make sure nothing like that would ever happen again, a statement written for him by the company's lawyers and PR people, but he was nowhere near a TV camera. Every time he was asked for an interview, we "declined" to make him available. We were not about to make him answer what we referred to as "rude" questions from a reporter. That episode came to mind as I read story after story in the mainstream media last week about the decision by UnitedHealth Group to "honor" some of the provisions of ObamaCare even if the Supreme Court declares the law unconstitutional. there is an orphanage in Washington Heights, one of the poorest neighborhoods on Manhattan, located just above Harlem. A Catholic orphanage. It took in the children of crack addicts who’d been abandoned at the hospital. The nuns nursed some of them back to health, but some of them died. Because that’s what being born addicted to crack does to you. It kills you. If you want to know why cheap cocaine was flooding the United States, I suppose you can call Barry Seal, who’s dead, or Oliver North, who isn’t and ask them about the CIA bringing drugs into the cities. Or, you can ask Gary Webb, who is also dead, for doing the reporting on it. This Catholic orphanage was doing a good thing. Then the NIH got a hold of it. They decided that this population of cracked-out orphans, born nearly dead, was a wonderful, untapped resource for testing AIDS drugs on, to see if they could get them approved for children. And in the early 90s, stretching to the mid-2000s, that’s what they did. The kids were getting daily doses of drugs with the FDA’s “black box” label, which means they had killed adults at normal doses. They were getting them five, six, seven, eight and nine at a time. “Some at higher than usual doses,” went the study description. There were three dozen drug trials in the government database listing the orphanage as a study site. The studies were sponsored by your tax money given to the NIH, coupled with direct funding from drug companies: Glaxo, Pfizer, Bristol-Myers-Squibb, Genentech, Merck and others. The hospitals used the orphanage to get test subjects, arranged by the doctors who were put in charge. These “doctors,” Dr. Steven Nicholas and then Dr. Catherine Painter, posed as friends to these children and forcibly drugged them. The staff of child-care workers, consisting of neighborhood Dominican women, were made to carry out the drug regimen day and night. Once on the drugs, severe illness was normal. Children had violent diarrhea and threw up as a regular feature of being drugged around the clock. It was noticeable that many children were stunted, physically and developmentally. Many developed large fatty lumps and humps on their bodies. These come from the protease inhibiting drugs and had to be removed with plastic surgeries. After starting the drugs, children got sick, fast. Many died. A 6-year-old girl who’d never been sick was brought in for drug compliance. That is, she wasn’t taking the drugs at home and the city social workers had a problem with that, so she was put in the orphanage. On the drugs for a few months, she had a stroke, went blind and then died. This kind of violent drug death happened to a lot of the children, quickly and slowly. That’s what “black box” means, in actuality. I knew some of these children personally. I know a lot more through my sources. Like the girl, not all of the children were orphans. Many had been adopted or lived with family. They were put into the orphanage by the city of New York if parents refused to drug them at home. They were brought in for “compliance,” or “adherence.” That’s how I got the story, because a mother didn’t want to drug her kids and the city took them away from her. All of this was verified by multiple sources, including the doctor who ran the place. I was talking with a half-dozen insiders at one point (nurses, child-care workers and volunteers), plus four or five children and young adult ex-residents. I had an audio interview with Dr. Painter where she described exactly how and why the children would get their stomachs cut open. I had it on tape, on record, admitted by the perpetrators and victims alike. But the orphanage kept drugging the kids. I published articles in several magazines and newspapers and appeared on New York and national radio. (Leroy Baylor at WHCR in Harlem championed the story and even had one of the mothers, “Mona,” on air). I even got a movie made from it, directed by Milena Schwager, who did a very good job. It was released through the BBC, which mortified the AIDS drug pushers; so much so that they demanded the company retract or apologize for the film. Eventually the BBC put up a note that there had been some objection to one of the interviewees, but they left the story up. The movie was good, but the producer was unwilling to tackle the fraud of HIV testing, so it lost a great deal of evidence. But it helped open eyes, for which I’m grateful. The combined effect of articles, radio appearances and film brought citizens and activists out in protest in the streets outside of the ICC. The powers-that-be in the city had to take action to quiet the rage. I think someone placed a call to their go-to at the New York Times. Because when the issue was spilling into the streets and into dinnertime conversation, the Times showed up, a year-and-a-half into the public investigation and painted a big “Do Not Look Here ‘X’” on it for its pharma-advertisers and pseudo-liberal readers. 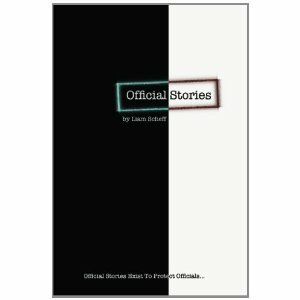 Read the rest in Chapter 6 of “Official Stories,” available worldwide in the UK and Europe on Amazon (Kindle late July, 2012). Take an unflinching look into an issue the mainstream media doesn’t dare touch: the failure of the multi billion-dollar war on AIDS. 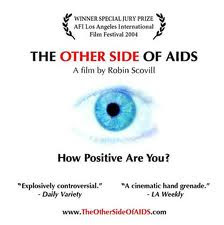 The Other Side of AIDS gives voice to a growing movement of doctors, scientists, journalists, and HIV positives who reveal a tangled web of conflicts of interest, political correctness and unresolved errors surrounding AIDS. After 30 years and more than $150 billion in federally funded research, scientists still can’t explain how HIV causes AIDS. Millions of people have been declared HIV-positive with tests that can’t find the actual virus. The latest AIDS medications are taking more lives than AIDS itself. One expert proposes that the cause and cure for AIDS is as near at hand as our willingness to examine new ideas. Yet according to a prominent AIDS researcher, anyone questioning HIV is a perpetrator of death and should be jailed. Should AIDS advocates have the power to silence scientific debate? Has saving face become more important than saving lives? 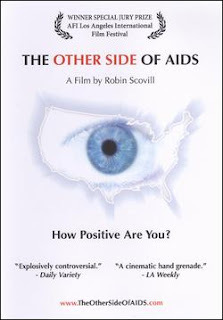 Watch The Other Side of AIDS and decide for yourself. Breast milk has a strong virus killing effect and can protect against oral transmission of HIV, a new study has found. 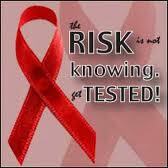 More than 15 percent of new HIV infections occur in children. Without treatment, only 65 percent of HIV-infected children will live until their first birthday, and fewer than half will make it to the age of two. Although breastfeeding is attributed to a significant number of these infections, most breastfed infants are not infected with HIV, despite prolonged and repeated exposure. 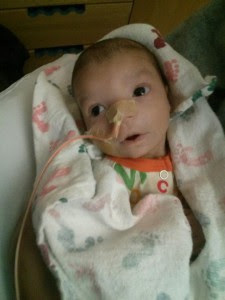 The question of whether breast milk transmits the virus or protect against it has been a mystery for HIV researchers. Now new research from the University of North Carolina School of Medicine explores this paradox in a humanized mouse model, demonstrating that breast milk has a strong virus killing effect and protects against oral transmission of HIV. Reminder. 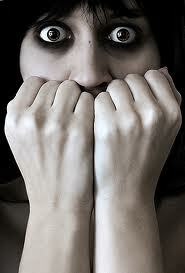 A 'positive' test result only indicates the presence of normal human stress-proteins. There may be a lot of them, in order to reach the cutoff point and be declared 'positive', but that is not an immunity problem. Quote from the book "AIDS, Opium, Diamonds, and Empire. 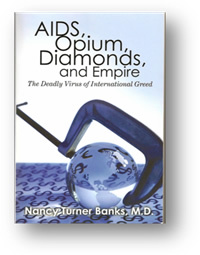 The Deadly virus of International Greed" by Dr. Nancy Banks. 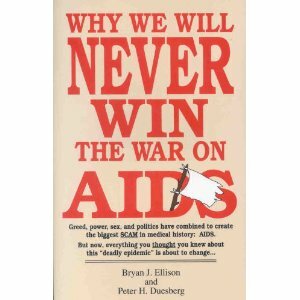 In a far-reaching decision that could throw the publishing industry into turmoil, the Federal court of the Southern District of New York has officially banned a controversial AIDS book titled "Why We Will Never Win the War on AIDS" from being distributed - even for free - anywhere in the United States. The verdict against the book, rendered on November 28, ended a contentious five-day trial in which publisher Alfred S. Regnery was suing to stop publication of the book. Judge John E. Sprizzo is expected to enter the official judgment any day now, including a permanent injunction against the book and over half a million dollars in penalties against the book's publisher and main author, Bryan J. Ellison. Am i the only that finds that article funny (beside full of FEAR)? WINNIPEG — BY THE CANADIAN PRESS Dozens of students and staff at a First Nations high school are being tested for HIV and hepatitis after undergoing a faulty diabetes screening. A University of Manitoba professor talked to students at Southeast Collegiate on May 4 about diabetes and used a glucometer to test blood-sugar levels on about 80 people. A university spokesman said the professor changed the needle used on each person, but failed to realize that the part that holds the needle is not supposed to be used on more than one person. “The lancet, the needle-like poker which punctures the skin, was in fact changed after every use, and the skin was cleaned with alcohol,” John Danakas said Thursday. A routine HIV test given to Cornelius complicates his relationship with his lover and with the AIDS establishment. Texas A&M University: Professor Patricia Goodson is leading a study of HIV-positive people who have never started AIDS drugs or who have stopped them, yet have survived for a decade or longer without developing AIDS. The website includes a link to a YouTube video describing this work and the email address of the professor if you wish to participate through an interview. All participation will be confidential. "Anomalies". That is how mainstream science and health care view persons who have tested positive for HIV infection, have refused to submit to mainstream treatments, yet have survived for a decade or longer without developing AIDS. 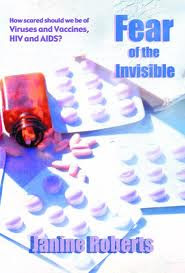 If LTNPs - also known as long-term survivors, long-term healthy seropositives, elite controllers, or elite suppressors - have captured the attention of geneticists, virologists and immunologists, they have, nonetheless, gone unnoticed by clinicians, policy makers, and health educators. Nonprogressors remain, for all practical purposes, "anomalies"; mysterious cases for which science cannot easily account.